There is nothing like a pond. What else can simultaneously increase your aesthetic pleasure, offer recreational opportunities, help the environment, and increase the value of your property? Earth Ponds is the standard resource for building and maintaining these important and lovely landscape features.For thirty years now Earth Ponds, with some 100,000 copies in print, has guided an entire generation of pond makers on everything from site planning to soil sampling to drainage and wildlife management. 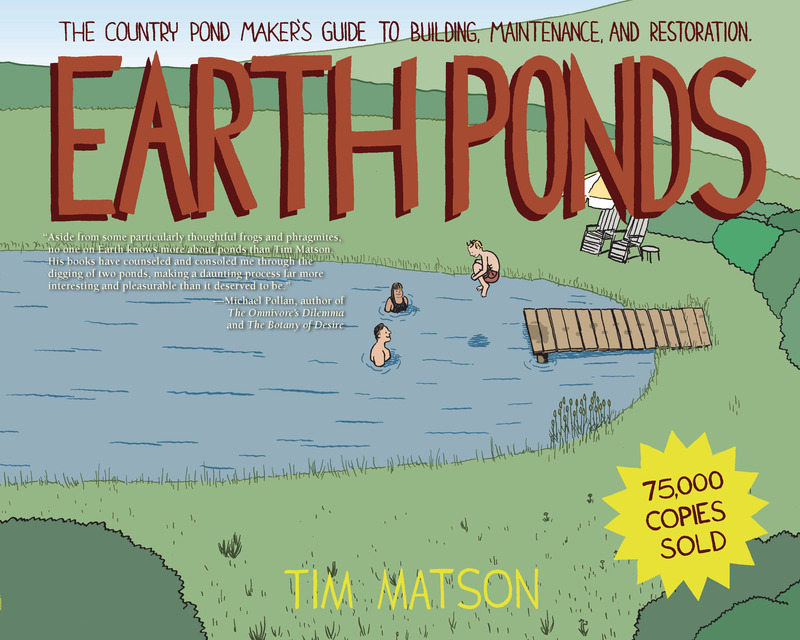 It’s a complete overview of the country pond.Illustrations guide the pond builder through every step of the process; chapters carefully describe the issues and decisions in a wonderfully personal way. It’s the condensed wisdom of a man who has spent a lifetime building, restoring, and maintaining ponds.